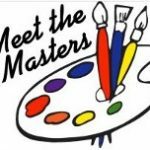 Meet the Masters is a fun art program that introduces our children to the world of art. Anyone Can Volunteer. No Art Experience Is Required. Please Note: The supplies for Meet the Masters program are in the lobby of the main office. In the supply room they have always been in. 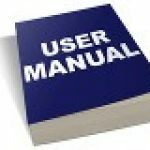 For your reference please please click here mtm-for-volunteers to find the presentation that was given during the Meet the Masters meeting on 8/24/18. Multiple volunteers per classroom. All interested volunteers can participate! is a volunteer Art History and Art Appreciation program intended to acquaint children with the world of art. seeks to cultivate a sustained awareness and interest in art by exposing children to selected prints (approved by Broward School Board). is run and done by parent volunteers who have an interest and enthusiasm for bringing fine art to the young. promotes an awareness of arts in our community. Through the increased activity and interest of volunteers, parents, faculty members and administrators, knowledge of the arts will be expanded. Once a month volunteers schedule a time with their teacher to come into the classroom and make presentations on the lives and works of master artists, followed by an art project of the students own creation. Using reproductions of the artists’ works, these presentations last about one hour. Materials are provided for the presentations. Please make sure that you return the MTM materials after you use them. Also, please make sure you clean the brushes and close the paint after use to ensure the other volunteers find the supplies in good condition. Art Enrichment – No Art Experience Necessary!